HouHai (Hou lake) is situated between QianHai and XiHai, just north of QianHai. HouHai is in the center of the tradional hutong area of central Beijing. The ancient Drum and Bell Towers are nearby. Around the south and along the west side of HouHai are a variety of teahouses, cafes, bars and boutiques that combine modern and traditional elements in their unique designs. There are also some cafes, restaurants and bars on the east side. The area of Houhai, QianHai and XiHai collectively is often referred to as ShiChaHai. The water for these lakes comes via canal past the north of BeijingZoo from KunMing lake at the Summer Palace. In turn, the water in KunMing lake comes from rainfall in the Western Fragrant Hills. HouHai is popular all day with small shops in hidden alleys and lots of rickshaws passing by. In the evening, trendy lighting and neon mixes with traditional red lanterns to create a lively yet relaxing atmosphere. Follow the lake southwards on the west (right) side to reach the popular area where QianHai joins HouHai and Lotus Lane beyond. If you take a rickshaw tour around the HouHai area, there are two historical spots that you are very likely to visit. Chinas last emperor, Puyi, was born in a mansion near HouHai. Another courtyard house (SiHeYuan), in this case a very large one, was the longtime residence of Song QingLing, the wife of Sun YatSen. Both these mansions are now museums. The expansive gardens and ponds provide a glimpse of what life was like for the privileged before the Communists, who officially frowned on such extravagance. Houhai is Beijings newly developed old town of funky nightlife full of small bars and pubs with character. With the glow of lights over the lake Hohai takes on an unreal feeling - this is where Willy Wonka came to party. Most cafes and restaurants are individually owned and have their own unique style and service. Not to say that they dont copy each others good ideas. A great place for dinner and then migrate from place to place for drinks. Or a nice stroll with good people watching. A mixture of old Beijing and the modern west, Houhai is worth a look. A great place for people of all ages - you can have drinks, tea or coffee and with so many little places to choose from you can find the right one for you. The bell and drum were originally used as musical instruments in China. Afterward, however, they were used for telling time. As early as in the Han Dynasty (206 BC-220), there was a morning bell and a dusk drum. Telling the time by bell and drum played an important role in helping people live and work regularly when there was no other means to keep track of the time. As a result, bell and drum towers became public architectures, and were widely constructed in almost every city throughout the country since the Han Dynasty. In the history of their construction, the bell and drum towers of Beijing are the largest and highest. Their layout is unique, in that they were placed fore-and-aft, not as the traditional sense of standing right-and-left horizontally. Lying to the north of Beijing-south axis line in Dongcheng District, the bell and drum towers are visibly prominent constructions and represent the symbol of this old city. They were built in 1272, and rebuilt twice after two fires. At one period in history they were the time-telling center of the capital city during the Yuan, Ming and Qing Dynasties (1271-1911). This brick and stone towers have two floors: there is an arched door on all four sides of the tower on the first floor, and you can go up to the second floor through stone stairs. The same exists on the first floor. An arched door was also built on the four sides of the second floor. Additionally, there is a stone window on each side of the four doors. Hanging on an eight-square wooden frame of the second floor, the bell in this tower is the largest and heaviest in China. It is 7.02 meters (23 feet) high including the pendants, with a weight of 63 tons (138,891 pounds). The bell was made of copper, and you can hear its round and clear sound from far away. The two 2-meter-long (2 yards) wooden logs hanging sideward are used to ring the bell. Located 100 meters (109 yards) south to the bell tower, the drum tower was placed on a 4-meter-high (13 feet) stone and brick base. It is 46.7 meters (153 feet) high, a little bit lower than the bell tower that is 47.9 meters high (157 feet). This tower is also a two-storey building; the first floor contains the China Committee for the Promotion of the Minority Art. The second floor contains the exhibition area. Originally, there was one big drum and 24 smaller drums, but only the big drum remains. The method of beating the drum is to beat it quickly for 18 times and then slowly for 18 times. Altogether there are three rounds and 108 tollings. People knock the bell and the drum 108 times, because 108 times represent one year in ancient times. Telling time by ringing the bell and beating the drum was abolished after Pu Yi, the last emperor of China, left the Forbidden City. Since the New Years Eve of 1990, the sweet sound of the bell that had disappeared for a long time began to ring out in Beijing. Being drowsy for nearly a century, the drum was also beaten again on the New Years Eve of 2001. It has been beaten four times a day, for 15 minutes at a time since January 1st in 2002. From then on, every New Year Eve, the drum is beaten with the bell 108 times to send a blessing to the people. The area of the bell and drum towers has been flourishing since the Yuan Dynasty (1271-1368), when they were just standing behind the imperial palace. It was the busy downtown district there then, full of storefronts and businesses. Thanks to the further developing of the businesses, the street in front of the drum tower became the busiest shopping street in the Ming (1368-1644) and Qing (1644-1911) Dynasties. During the Republican Period of China (1911-1949), many have-nots (impoverished people),along with merchants selling handcrafted items (handicraftsmen) and vendors selling snacks and local food items (snack stands) swarmed the place between the bell and drum towers, which attracted people from all walks of life at that time.Today, when visiting, you can climb onto the bell tower and drum towers to have a birds-eye view to admire the entire city, and even take part in the activity of knocking the bell and drum, appreciating all kinds of folk-customs, such as the dragon and lion dance, and other folk-custom exhibitions. Located several kilometers north of the Forbidden City and just east of Houhai Lake is Nanluoguxiang (NLGX), an 800-meter long North-South alleyway filled with cafes, bars, and shops all designed in classical Chinese ‘hutong’ style. 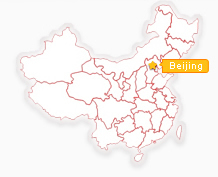 NLGX is intersected by eight East-West hutongs, each with its own unique bit of story to tell. Amidst the destruction of many old Beijing historical neighborhoods in recent years, Nanluoguxiang was spared and designated by the Beijing government as a historical site for preservation and showcase for Chinese culture. The area received a face lift in early 2006 ? the hutong road was paved with grey bricks, storefronts were renovated, and cafes and shops were opened ? and the area has since evolved into a favorite spot for local hipsters, musicians, freelancers, and tourists. In the summer of 2006, NLGX hosted its first street fair displaying arts and crafts, live music, street food, and exhibitions by local artists. As NLGX became more well-known by the local community, the 2007 street fair became even larger with more participants and more organizing partners. According to locals, Nanluoguxiang will eventually be closed off to car traffic, transforming the area into one of the few pedestrian-only streets in Beijing.